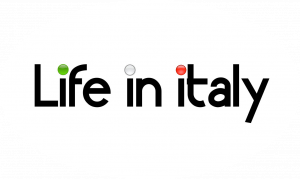 Lifeintaly has often dedicated articles to Italy’s UNESCO sites (check the bottom of this page for links! ): UNESCO’s list is not only important because it makes the beauties of the world known, but also because sites within it are often entitled to receive financial support for their upkeeping and preservation, as cited on the UNESCO website itself. What many may not be aware of is that UNESCO does not only protect works of art and architecture or natural amenities, it also has an interest in all that is part of a country’s cultural heritage without being material. The organization defines it “intangible cultural heritage” and Italy offers a good amount of examples of it. In fact, we did write about some of them already: the Mediterranean diet, for instance, is UNESCO intangible cultural heritage for the countries of Italy, Greece, Spain, Morocco, Portugal, Croatia and Cyprus; the Pupi Siciliani, a traditional Sicilian puppet theatre representation, is also part of it and we even have a beautiful musician’s take of Cremona’s violins. However, we have never dwelled on the true meaning of “intangible cultural heritage” or on the other (and there is a few!) Italian traditions part of it. The time to do it has just come. What is the UNESCO Intangible cultural heritage? As mentioned, the “intangible cultural heritage of a country” refers to what has profoundly characterized it culturally and even socially through time. UNESCO says that ” the intangible cultural heritage is transmitted from generation to generation and is constantly recreated by communities and groups, in response to their environment, their interaction with nature and their history.” We are talking about a patrimony, then, that has been touching a people’s culture for centuries and still does exercise a visible influence on a specific area’s way of life, economy, artistic production. There is even more, though, as the “intangible cultural heritage” helps people connect with their past, UNESCO continues, and reinforces their indentity. UNESCO’s Intangible Cultural Heritage can be found within oral traditions and expressions, the performing arts, rituals, festivals and social practices, nature-related practices, traditional craftmanship. From North to South, Italy’s intangible heritage has common lines throughout: it embodies centuries old practices, all profoundly tied to the land and the towns that saw it develop. Some examples of it, like Cremona and its traditional violin craftmanship, are powerfully associated to a very specific location; others, like the celebrations of shoulder-borne processional structures, have examples throughout the country; others still are related to agriculture, whereas others are all about the most ethereal of all arts, music, as in the case of Sardinia’s Canto a Tenore. Here comes, then, a brief excursus on some of Italy’s lesser known beauties, those protected by the UNESCO’s Intangible Cultural Heritage. The city of Cremona is known for its amazing food, especially its torrone, one of Italy’s favorite treats, especially around Christmas time. But this quiet and beautiful Lombardia’s town is also home to a piece of musical history: it is here that, since the 16th century, the best string instruments in the world have been made. UNESCO has recognized the importance of this tradition in 2012, when “il saper fare liutario” of Cremona entered its list of the intangible cultural patrimony of the world. The town breaths music through and through: with its 140 “botteghe liutarie” (workshops specialized in the creation of string instruments), it is the only real centre of violin making in the world. The work of Cremona’s violin makers is protected by the Consorzio Liutai Antonio Stradivari, which does not only endorse the work of Cremona’s violin makers, but also keeps track of each and every instrument produced to facilitate authentication. All started with the work of a bunch of Cremona’s families, many still known today, their skills at the very core of today’s craftmanship. The Amatis, the Bergonzis, the Guarneris and, of course, the Stradivaris, are the most important and iconic families related to the world of Cremonese “liuteria.” Between the early 16th century and the 1770s, they produced the most impressive pieces in the history of string instruments, some of them still extant and played today. After the 18th century, violin makers disappeared from the city: they were not protected by a guild, and in a short amount of years their work went lost. This is why there are not many of their instruments around today, and why they are worth millions. It was, in fact, thanks to count Cozio di Salabue, who bought Stradivari’s workshop from the master’s last son and studied his techniques, that we know how the great violin makers of the past worked. In the 1920s, the di Salabue’s family sold Stradivari’s workshop and all his material to violin maker Giuseppe Fiorini, who brought Stradivari’s standards and knowledge to the 20th century, the same standards and knowledge UNESCO chose to be part of the world’s Intangible Cultural Heritage. Italy’s Catholic tradition spans throughout a whole millennium and is deeply rooted within the country’s own heritage, a heritage that joins art with spirituality and traditional practices. Religious processions are common in Italy, and many do involve large structures carried by hand; however, those taking place in Nola (near Naples), Palmi (in Calabria), Sassari (in Sardinia) and Viterbo (Tuscany) are particularly impressive and have been introduced in the UNESCO list of Intangible Cultural Heritage in 2013. The procession in Nola, dedicated to Saint Paolino, is known as the Festa dei Gigli, and involves eight 25 meters high wooden constructions decorated in papier maché, carried around town to honor the return of the Saint to Nola in 431, after he had surrendered himself and all his belongings to the Visigoths, in exchange for the town’s freedom. The legend says that, upon his return, Nola’s people welcomed their bishop with lilies, gigli, which is how the wooden structures are called today. In Palmi, people gather every year on the last Sunday of August to celebrate Maria Santissima della Sacra Lettera (Mary of the Holy Letter). They do so with one of the most spectacular shoulder-borne structures in the country. La Varia, as it is known, is a 16 meters high float representing the universe and the Assumption to Heaven of the Holy Virgin Mary. 200 “mbuttaturi”, carriers, hold the structure on their shoulders. If you look closely to La Varia, you will notice that people representing angels, Mary and God are placed on the structure at varied height. Known in Sassari as “la festa grande,” the greatest feast, la Discesa dei Candelieri is also part of the UNESCO Intangilble Cultural Heritage. It has been celebrated, on the 14th of August, for the past 700 years, to honor the Assumption to the Heavens of the Virgin Mary. Between the end of the 1500s and the mid 1600s, it also became a way to thank the Virgin for having freed the town from the plague in three occasions, each time on the 14th of August, on the eve of the Catholic feast of the Assumption. Since then, the protagonists of Discesa dei Candelieri are the Gremi, the representants of the town’s arts and crafts. Each has a “candeliere,” a tall and heavy wooden construction, carried around town during celebrations. They are usually decorated with ribbons and holy images and even children prepare smaller -and lighter- “candelieri” to carry around just as the adults do. Last, but not least is Viterbo‘s Macchina di Santa Rosa, dedicated to the town’s own patron saint. This spectacular celebration takes place each year on the 3rd of September. The Macchina di Santa Rosa (known in English as the Tower of Santa Rosa) is a 30 metres high metal tower, decorated with candles and lights, of a weight of about 500 kilograms. 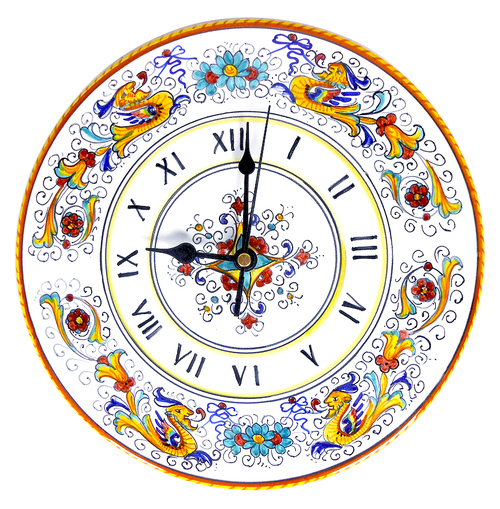 It is carried around by 100 men, called “facchini” for about half a mile through the town’s streets and alleys. The Macchina was originally created in 1258 in remembrance to the traslation of Saint Rosa’s body from the church of Santa Maria in Poggio, to the Sanctuary dedicated to her; the one used today was created in 2009 and is called “Fiore del Cielo,” Flower of the Sky. Il Candeliere dei Fabbri, one of the candelieri of the Discesa, in Sassari. UNESCO Intangible Cultural Heritage also touches upon agriculture and the vite ad alberello di Pantelleria is not only an example of it, but the first example of an agricultural practice entering the UNESCO list. This peculiar vine, which is used to produce renowned Italian white Zibibbo, has been cultivated in Pantelleria for centuries and is well rooted in the island’s culture. Vines are planted in 20 centimeters deep holes, to allow their roots to seek for water; this type of cultivation was introduced on the island by the Fenicians to fight its typically hostile weather, characterized by high, constant winds and paucity of precipitations. This particular type of singing style is typical of Sardinia’s pastoral life. The Canto a Tenore is performed by four singers, each of whom has a very specific role: the soloist sings a piece in Sardinian, while the other members accompany it with both vocal counter singing and singular, guttural sounds. It is, at least in part, an improvised type of performance, as the singers can ornate and build vocally on the lyrics as they wish. The result is a very emotional, heartfelt music, rich in pathos. Very little is known of the origins of the Canto a Tenore: some sources mention a similar type of polyphonic performance alredy in pre-Christian times, others date it even further back to nuragic times. The Nuragic civilization was autoctone to Sardinia and inhabited it from the 18th century BC to the 2nd century AD. Great performance of a Canto a Tenore quartet, with an initial history of it… translated in English!